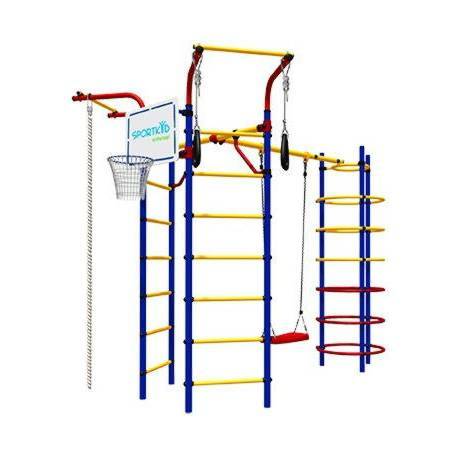 > Final sale>Playing sports complex "Cosmodrome"
The colorful Spaceport 15 features a rope, gymnastics rings, basketball board and swing set. 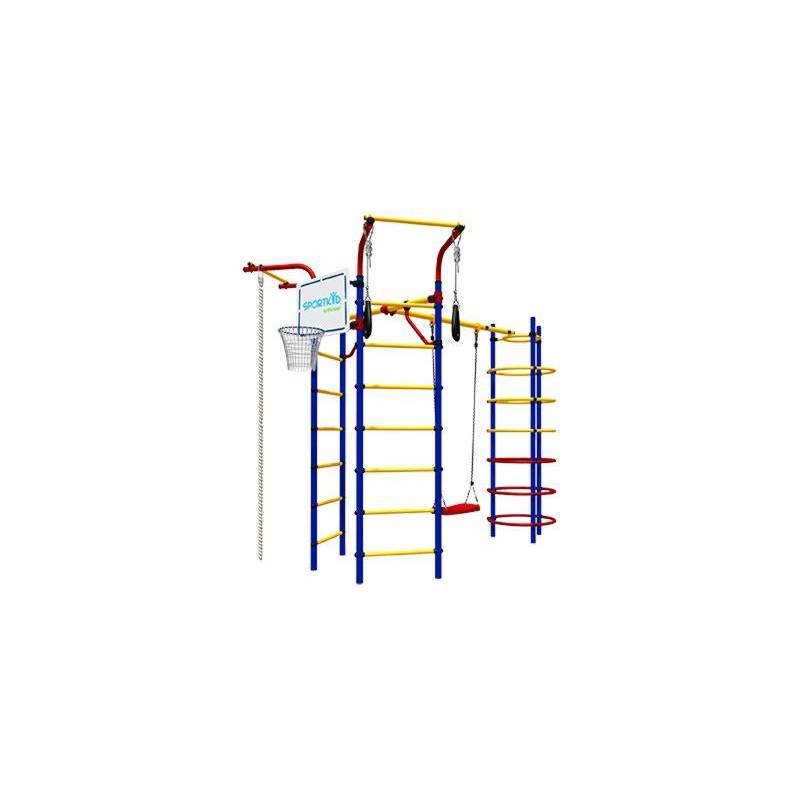 It also features the candy-colored hoop rings (also an element of the Rock Climber 15) which kids can climb from the outside or crawl inside and climb. This component is not part of the similar Spaceport 14. Spaceport 15 is sort of a more elaborate version of Spaceport 14 because of the swirling tri-color hoop rings that secure the equipment at one side and give the product its distinct appearance. 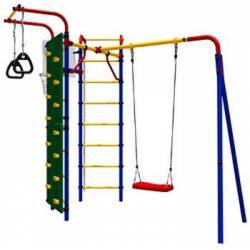 What makes the circular climbing rings even more fun is that they can be used by more than one child unlike the ladder. 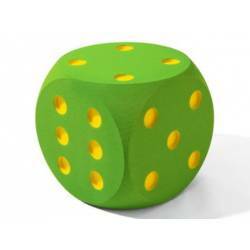 This function opens up the possibilities of play. 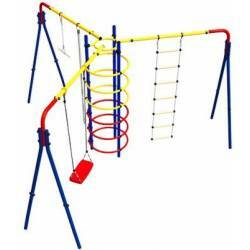 Two kids can challenge each other to see which one can get to the top more quickly, and the race is a test of stamina. Children will get their leg muscles pumping and faster play will increase their heart rate to strengthen cardiovascular endurance. 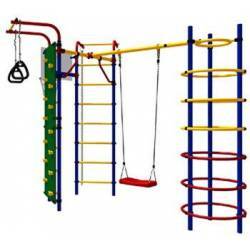 For an alternate challenge, kids can race each other up the other set of ladders at the opposite end of the equipment. 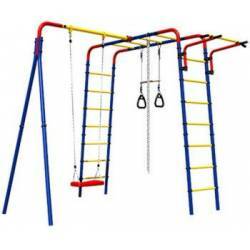 The horizontal bar supporting the swing is also long enough to use for pull-ups. Note: for safe usage each set frame must be sunk in concrete base 40 cm deep; under the set sand or grass field is strictly recommended. 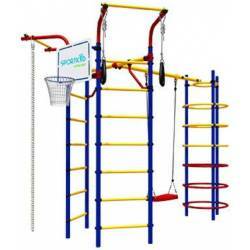 You can upgrade this jungle gym with additional equipment like rope ladder, trapeze or basketball hoop. This will make it even more challenging and fun!